There are plenty of key questions to ask yourself regarding your current faxing situation. What are the fundamental problems involving faxing? If you didn't have a system in place and wanted to implement one, would you choose the one you have now? Is there a more efficient way to handle document traffic? This paper can help you answer those questions and more. 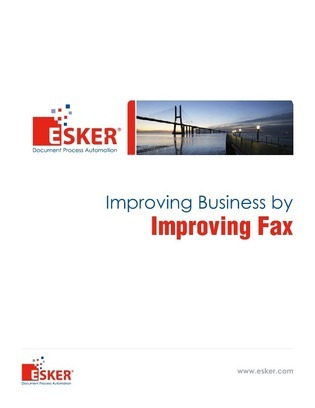 Since faxing is at the core of most businesses, you need to ensure your organization can rely on it at all times. Delayed or lost transmissions can send ripples through the supply chain, affecting order management, billing, purchasing, accounts payable and beyond.